Another day, another DIY project inspired by Pinterest. I was on a terra cotta kick after my jewelry tower/decorative wine cork tower (which is sitting on my brand new dresser, but is still a hybrid of both, lol) was finished and just started searching for “terra cotta crafts” on Pinterest. I came across a picture of a candy jar made out of terra cotta planters, but it was just a JPEG file uploaded as a pin. Don’t you have when people do that, just upload a picture of their finished product and don’t actually give you any sort of details or instructions as to how they made it? 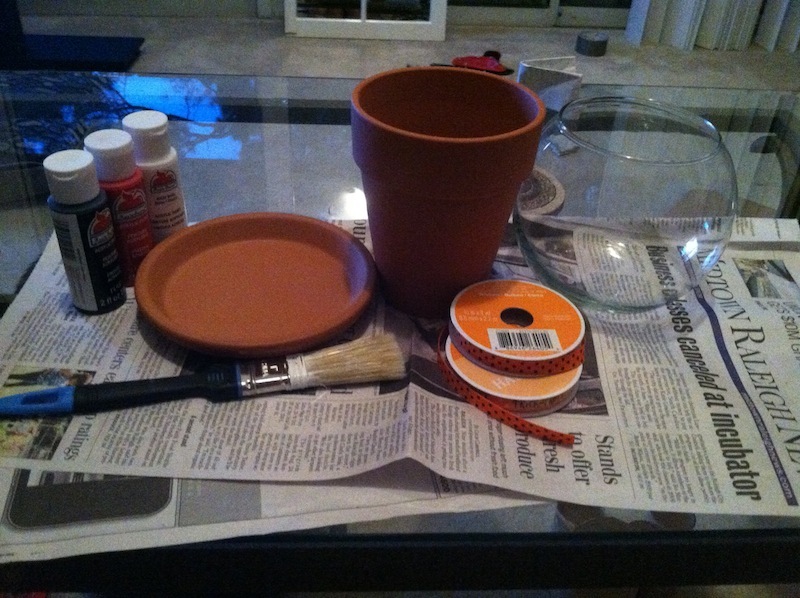 Clean and paint the terra cotta planters and wooden knob whatever color you want. I went with black. Decorate as you want. I painted the Jack-O’-Lantern on the glass bowl and added a ribbon around the base of the planter, but you can paint decorations or do whatever you want. Glue the knob to the top of the saucer and the glass bowl to the planter. 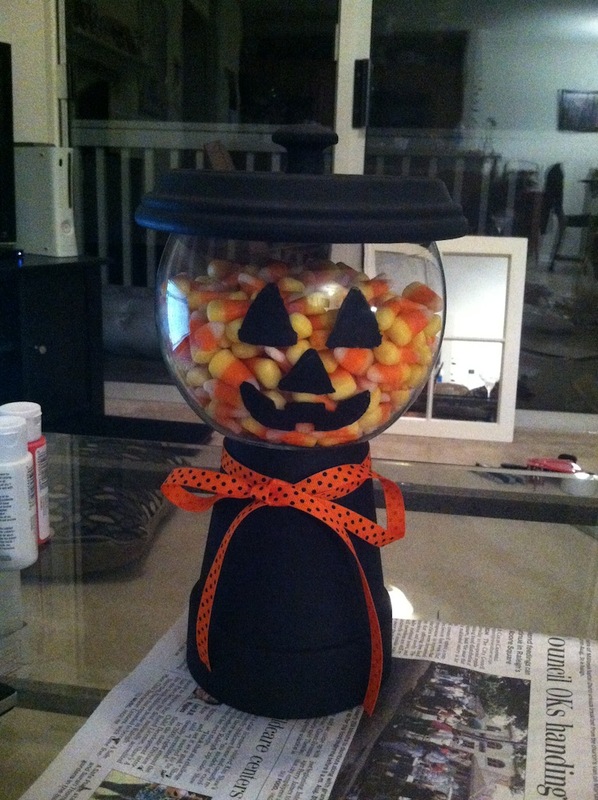 I added the candy corn in to give the glass jar some weight and help hold it in place as the Gorilla Glue dried. Fill ‘er up with candy and enjoy! This entry was posted in Arts & Crafts, Halloween. Bookmark the permalink.